The United States transitioned from an agricultural society to an industrial society during the period known as the Gilded Age. However, challenges of the free-market economic system left most Americans overworked, tired, and anxious. Demands for psychoactive medications and products that could help in relieving stress were high. Morphine and alcohol consumption became prevalent. The country became a nation of neurotics. In 1885 in Columbus, Georgia, pharmacist and owner of the Eagle Drug and Chemical House Dr. John Stith Pemberton concocted a nerve tonic beverage that could relieve stress and bodily pains. He used several ingredients that included cocaine, which he derived from the coca plant, and another substance derived from the kola nut. The Coca-Cola was born—a name suggested by his bookkeeper, Frank Robinson. The tonic beverage became a hit. Pemberton marketed his product as a non-alcoholic version of the French Wine Coca. Furthermore, aside from relieving stress and body pain, he claimed that Coca-Cola could cure several diseases such as morphine addiction, dyspepsia, headache, neurasthenia, and impotence. Pemberton was the inventor of Coca-Cola. However, the emergence of the modern American multinational beverage company could be attributed to Asa Griggs Candler, a businessman based in Atlanta who believed that Coca-Cola had helped him get through chronic headaches. Candler was already working to acquire the patent right to the Coca-Cola formula and trademark rights to the brand when Pemberton died in 1888. From 1888 to 1891, there were contentions over the right to use the “Coca-Cola” name because three separate businesses were selling the product on the market. Candler eventually secured these rights for $2300 and subsequently became the president of The Coca-Cola Company in 1892. Note that Candler was an experienced salesperson. His leadership marked an aggressive business expansion aimed at marketing Coca-Cola in the greater American market. He was also responsible for introducing the slogan, “The Wonderful Nerve and Brain Tonic.” The introduction of portable glass bottles and its subsequent adoption by Candler in 1899 accelerated further the success of the product and the entire company. 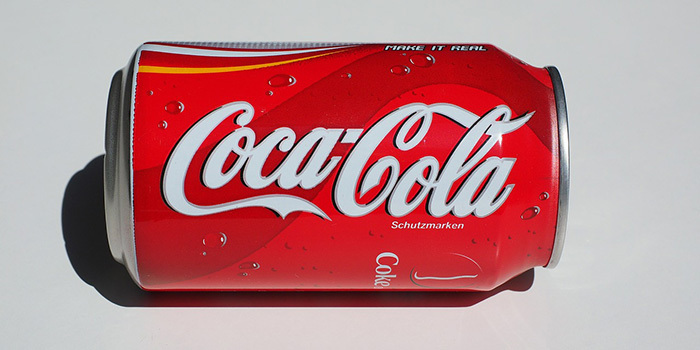 This new packaging made distributing and selling Coca-Cola easier. Coca-Cola was gaining a stronghold in the American market during the later part of the 1890s and early 1900s, but it eventually suffered from imitation from competitors and criticisms for featuring cocaine in its formulation. The product and the company still prevailed. Candler and his business partner, Frank Robinson, worked to improve the formulation and branding of their flagship beverage. They spend $22,500 on ingredients and another $11,400 on marketing efforts. True global prominence emerged after banker Ernest Woodruff bought the company from $25 million in 1919. His sons spent the next 60 years introducing the company further to the world and expanding it with more products and brands. Through its effective and consistent business and marketing strategies, The Coca-Company remains as one of the largest food and beverage companies in the world.